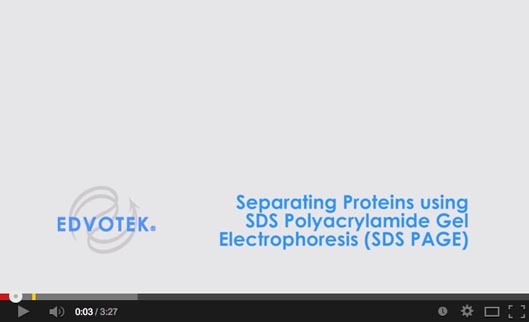 Using prestained LyphoProteins, subunit molecular weights are determined by analysis using denaturing SDS vertical polyacrylamide gel electrophoresis. Prestained Proteins with unknown molecular weights are assigned molecular weights based on the relative mobility of prestained standard protein markers. 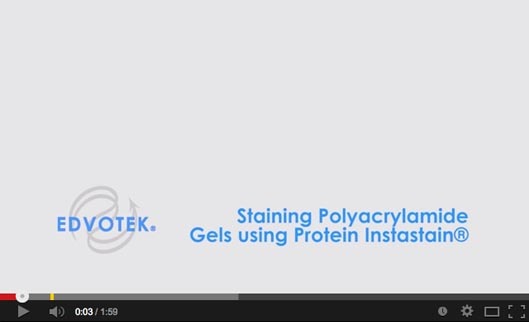 Kit includes: instructions, denatured LyphoProtein™ samples, standard protein markers, gel loading solution, buffer, Protein InstaStain®. All You need: 3 polyacrylamide gels (12%), vertical gel electrophoresis apparatus, power supply, hot plate or burner, white light visualization system, automatic micropipet with fine tips, microtest tube holder, lab glassware, methanol, glacial acetic acid, distilled or deionized water.